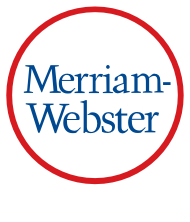 The word mnemonic derives from the Greek mnēmōn ("mindful"), which itself comes from the verb mimnēskesthai, meaning "to remember." (In classical mythology, Mnemosyne, the mother of the Muses, is the goddess of memory.) In addition to its adjectival use, mnemonic is also a noun meaning "a mnemonic device," and the plural from mnemonics is used in the sense of "a technique of improving the memory." As with many classical borrowings, we retained the double initial consonant, but not the pronunciation of both, since the combination doesn't occur naturally in English (pneumonia is a similar case). If this spelling strikes you as particularly fiendish to remember, keep this mnemonic in mind: although the word's pronunciation begins with an n sound, the spelling begins with an m, as in memory. James taught his students the mnemonic sentence "King Philip Came Over For Good Spaghetti" to help them remember the levels of biological classification (Kingdom, Phylum, Class, Order, Family, Genus, and Species). "Let's illustrate this point with a simple exercise using the elementary school mnemonic 'Every Good Boy Deserves Fun.' Teachers use this tool to help students learn the letters of the musical staff: EGBDF." Fill in the blanks to complete a word for something that serves as a reminder: t _ c _ l _ r.